That is a quote we took from fastcompany.com. Yes, we know BEC is a group, online group, not a company, but we think we can incorporate that information regarding logo to this club also. 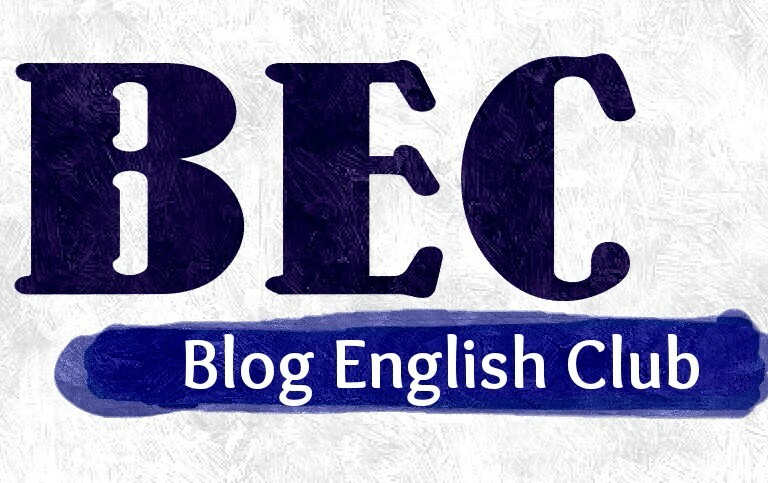 Logo that said Blog English Club. Logo that will remain in all members mind, every time we mention Blog English Club. At the beginning, we are not expecting that this group is going to be as big as it is now. After a month, we are thinking to do some improvements, which are a blog, a twitter account, a gathering (very near in the future), and last but not least, logo transformation. Currently we already have one logo that was created by Nita. She used blue as a symbol of smart because we are learning to be smarter in English through BEC. But we think it’s not qualified as a good logo because the logo is blurred when we change it to a gray-scaled version. 2. Logo submitted is original idea of participant. We strongly support intellectual property. 3. Member of BEC. Though our WhatsApp group is already full, you can still register so that we can keep our member data updated. 4. Create a logo for BEC that shows BEC’s identity. Remember the tagline of BEC – Connect, Learn and Having Fun. 5. Once you create the logo, please send to email blogenglishclub@gmail.com and please do comment on this post that you already submit through email. Deadline for this GA is on February 25th, 2015. There will be prizes from us, admins for the nominees. The chosen logo will be presented on Gathering. So, let’s transform our beloved BEC. If you want to know more about what kind of color that is good to represent something, you can access the fastcompany link above. The Giveaway is closed…. thank you for members that already participating. Gilak!! Keren banget siiih para admin BEC iniiiih!!! Hihihi. Aku terlampau jujur, yes? We will wait for your submission Umami. hello, i’m new member for this blog. how to chat with another member ? please invite my facebook or twitter : didin khoeruddin for practice english. Hi Didin, welcome to the club. Do you have whatsapp? And already fill it in the form? We will look at it and add you. lho, grup whatsappnya masih bisa? belum penuh? Utk chit chat belum. Kalau learning sudah. Mau join chit chatkah? Chit chat ya spt namanya. Chatting antar member tp pakai bhs Inggris juga. Learning ya yang dengan mentor. Aku ndak bisa design 😦 skip dl deh giveaway kali ini hihi good luck finding the coolest logo! 😍 This takes the community up to another level. Brand it! Gambar pena jg gpp Grant. idem with glorygrant…can i submit a handdrawn logo? Hi hi. How’s the logo? Deadline is 25th. Really? We don’t know that. What is the BEC there stand for? how about kampung inggris in Pare, have you ever hear or know about that? No. I never heard about this also. Let me check it out. Ayo Ola. We are waiting for your design. WA Learning penuh. Chit chat mau? Let me check. Thank you for participating in this giveaway.